There’s a lot to be said for someone who can get up on stage and tell a personal story in front of a room full of strangers. It takes guts and confidence and a clear voice. No one understands that better than us! Unfortunately, some people face additional barriers, and that’s especially true when it comes to people with disabilities. 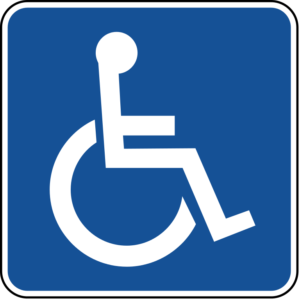 An individual who uses a wheelchair, for example, will find that few stages have ramps. However, storytelling is a participatory activity and more than that, it’s an exercise in community-building that demands aggressive inclusivity. A blind person shouldn’t be defined solely by his or her blindness but rather related to as a person who is experiencing all of life’s love, joy, loss, and happiness, much as any other person. Ex Fabula is proud to announce the Equal Access project, which will enable more of these individuals with disabilities to tell their stories on Ex Fabula stages. This new initiative will not only celebrate individuals with disabilities as assets to the Milwaukee community but allow audience members to learn by hearing perspectives that are sometimes overlooked. Ex Fabula previously touched on this subject during the summer of 2015 through a partnership with Broadscope Disability Services that celebrated the 25th anniversary of The Americans with Disabilities Act. This project is supported in part by a grant from the Milwaukee Arts Board and the Wisconsin Arts Board with funds from the State of Wisconsin. Additional thanks go to the Ex Fabula volunteers and community members who helped to design this effort and to our project partners: Independence First, Vision Forward, and Audio & Braille Literary Enhancement (ABLE). If you know of other groups that might want to get involved, please let us know!